Get in touch with Kasey! 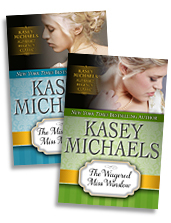 > Want to be part of Kasey's VIP Readers Group? Get VIP goodies in exchange for social media sharing and posting honest reviews. Email authorkaseymichaels@gmail.com with the subject "VIP Readers Group" and tell us you'd like to join! Thanks!